At the closing ceremony of the PyeongChang 2018 Winter Olympics in February this year, the whole world was watching as the Olympic flag was passed to delegates from China: Beijing is to host the next Winter Olympics, in 2022. Preparations for the 2022 Winter Olympics have already begun. New competition venues and infrastructure are springing up in the capital city, Yangqing district and Zhangjiakou, and winter sports are expected to become a point of focus for the entire country. Out of all the winter sports there are, ice hockey – a fast-paced and action-packed team game – has always been one of the most popular spectator sports. The thrilling team game has also become one of the coolest sports for millennial’s to participate in, especially for those from privileged backgrounds. Alongside sports such as horseback riding, polo and golf, ice hockey is one of the most expensive sports to play. As a full contact sport, players are required to wear protective gear, such as helmets, mouthguards, shoulder pads, elbow pads, girdle, hockey gloves and shin guards. In addition, uniforms and equipment such as hockey jerseys, ice skates and hockey sticks have to be maintained. All this requires HK$4,000 to HK$9,000 a year. in September, 2017 in Cranberry, Pennsylvania. In China, ice hockey used to be popular only in northern cities such as Harbin and Qiqihar in snowy Heilongjiang province. 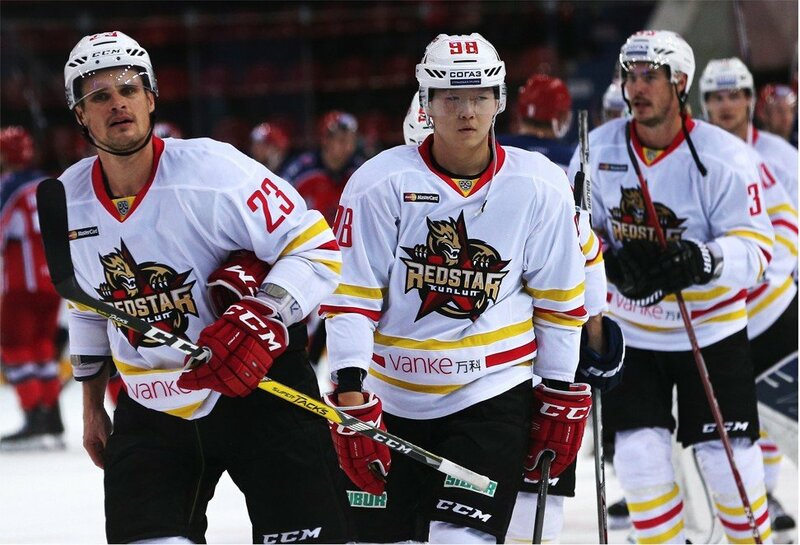 Back in the early 2000s, there were fewer than 200 registered junior ice hockey players in Beijing. But ever since China was chosen, back in 2015, to host the 2022 Winter Olympics , the sport has been gaining popularity among children and adults in Beijing. “There are now a few thousand youngsters playing ice hockey in Beijing. 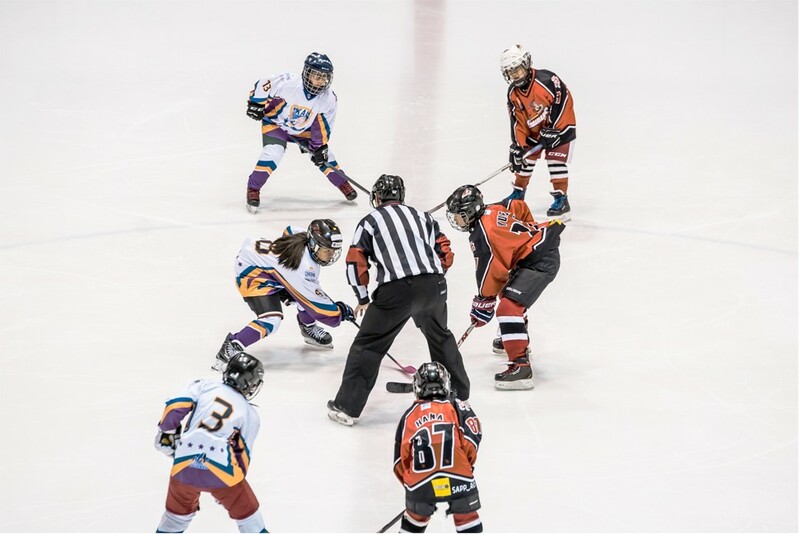 People think playing ice hockey is hip and cool, and there are an increasing number of people taking up the sport,” says Thomas Wu, vice-president of the International Ice Hockey Federation and honorary president of the Hong Kong Ice Hockey Association. KHL match against CSKA Moscow at the CSKA Ice Palace. Ice hockey originated in Canada in the mid-1800s and spread to Europe in the early 1900s. While Canada, the United States, Finland, Russia, the Czech Republic, Slovakia and Sweden are still considered the Big Seven in today’s ice hockey world, Kazakhstan, Japan, Korea and China have become the top teams in Asia, followed by Hong Kong, United Arab Emirates, Mongolia, Chinese Taipei, Thailand and Singapore. To improve their children’s skills, many Chinese parents hire instructors to give their children private lessons. Some even send their children to North America to receive better training so that they can go on to develop a career in ice hockey. Having their children play ice hockey is a huge investment for parents. Typical examples are top-notch young Chinese players such as Song Andong – the first Chinese-born player drafted into the National Hockey League (NHL) in 2015 – and Rudi Ying, whose stories have inspired a lot of younger players in China. Driven by his passion for the game, Song moved to Oakville, Toronto when he was 10, and trained under coaches in North America. 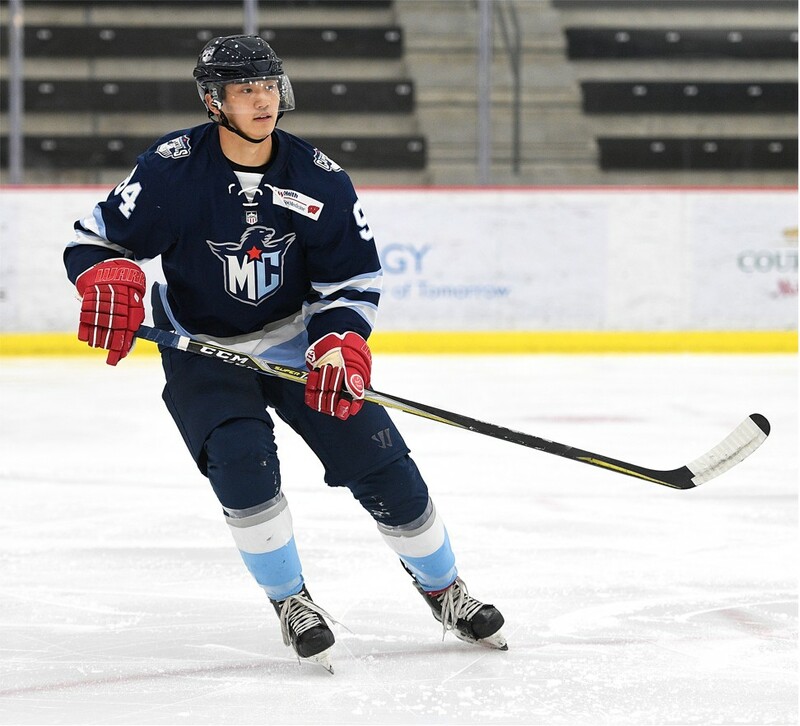 Now the face of ice hockey in China, the 20-year-old is preparing to play at NCAA for Cornell University later this year. Ying, who moved to Chicago at the age of nine, returned to China in 2016, and is playing professionally in the Kontinental Hockey League in China. Both are former members of the China U18 national team and are expected to represent China in the 2022 Winter Olympics. youngsters like Alex Wong Chin-ching. The scene has been changing with the participation of more local youngsters like Alex Wong Chin-ching. The 17-year-old, one of 20 young players under the Five-year Enhancement Programme to prepare for the 2021 Asian Winter Games, learned to play ice hockey at age seven through HKAIH. “Ice hockey used to be a minor sport [here], but now it has become more popular, with more kids playing,” says the Po Leung Kuk No.1 W.H. Cheung College student. “I watched my cousin play ice hockey when I was about four or five. I really wanted to try, but there were no channels for me to learn [through] back then, until HKAIH was set up,” says the forward of the Hong Kong U18 National Team. Some, like Victor Yang Hou-yuan, a student from Harrow International School, switched to ice hockey from playing other winter sports. Yang returned to Hong Kong when he was about 10 and kept playing. Yang represented the city at the 2017 IIHF Ice Hockey U18 World Championship held in Mexico City last year. Former NHL player of New York Rangers, Barry Beck,who is now the general managing coach of HKAIH, thinks while giving the opportunity to everybody to skate is the way to continue developing the sport in Asia, he also hopes some of these young players will play professionally at the international level one day.